In this Wednesday, May 31, 2017, file photo, Zineb Curran, left, Boston Red Sox senior director of corporate communications, arranges bedding in a nap station near the team's clubhouse at Fenway Park in Boston. Catching some Zzzzs during downtime could help Boston be more alert during the first coast-to-coast World Series in 20 years. A sleep room was opened in 2017 at Fenway Park, adjacent to the gym next to the home clubhouse. Two bunk beds contain four queen-sized mattresses. Think the Red Sox are asleep at the ballpark? You may be right. 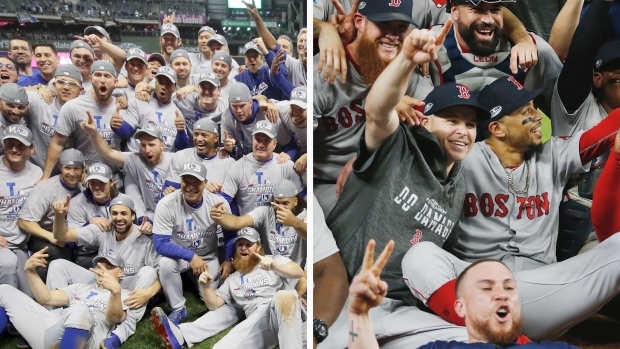 Boston's World Series opener against the Los Angeles Dodgers on Tuesday night is just the start of the final stretch of an 8-month endurance test. Six weeks of spring training is followed by 162 games in 186 days and then a postseason of up to four weeks. Even the fittest, sturdiest players are knackered. The room, about 12 feet by 12 feet, is similar to freshman college housing -- with a darkened window that keeps out ambient light. 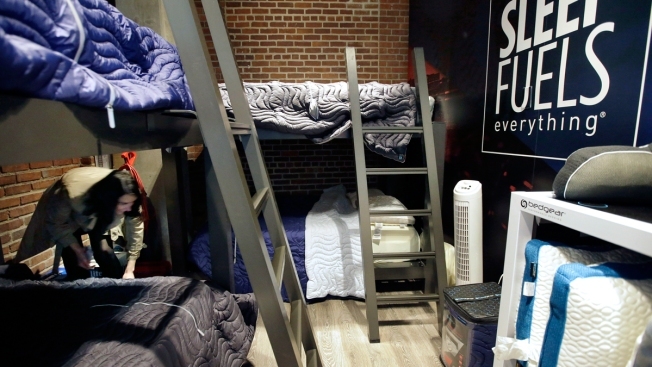 There is a wood floor, and each bunk bed has a five-step ladder. Above are a pair of slightly yellow lights and an air duct that creates a sound a bit like white noise.